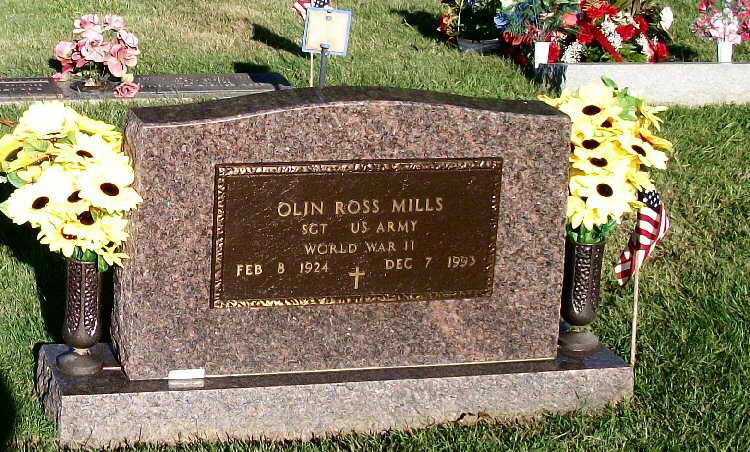 Grave marker for Olin R. Mills in Blaine Memorial Cemetery, Cottageville (Jackson county), West Virginia. Olin enlisted in the Army at Fort Hayes, Columbus, OH on 21 October 1942. Five days later he checked in with Hq 1st, 508trh PIR at Camp Blanding. 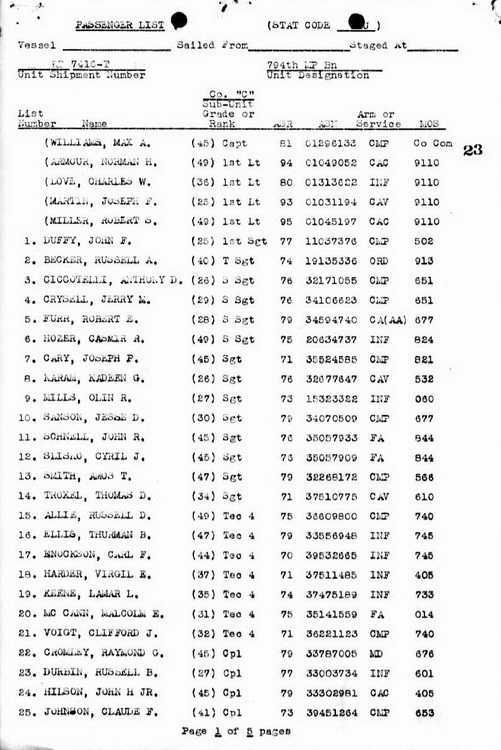 On 27 November 1943, Pvt Mills was transferred to the 542nd PIR at Fort Benning, GA.
Sgt Mills arrived in New York, NY from Le Havre, France aboard the SS Mexico Victory, the 7th Victory ship built during World War II. He married Bertha Belle Helms in Shinnston (Harrison county), WV on 7 November 1946.